Home » Blog » Pregnancy » Can You Plan a C-Section Delivery? Can You Plan a C-Section Delivery? Why would one choose Vaginal Delivery over C-section? 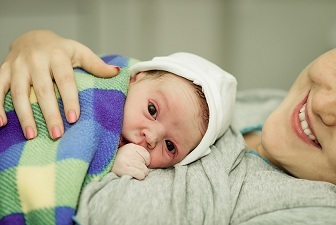 Many first time moms can opt for C-section delivery as that might seem to be an easier and less painful way of having your little one. It is reported that more and more women are asking for C-sections without and medical reason of doing so. There may be more than one reason that why a women would rather have a planned C-section than a vaginal delivery. One among the various reasons might be the possibility to plan and get maternity leaves as for the working moms. They can also be prepared with help at home. Most of the people might think that there should be a specific date or so for the arrival of the baby so that they can be prepared to welcome it warmly and not unprepared and hastily. Would it be convenient to have C-section? Even if a woman opts for a C-section, the nature might surprise her with early labor and she might be forced to have a vaginal delivery. So, one must be prepared for both kind of situations. It can be an argument that C-section is better to prepare and plan everything before the little one arrives but its safety cannot be ensured. It is not yet evident that C-section is safer. The woman might have to a longer time in the hospital after C-section and can also be advised a longer rest. They might also be bounded from some sort of physical activity which may also stop them from losing the pregnancy weight easily. It may also be difficult to take care of a new born baby care along with recovering from a surgery. How to manage the fear of pain during vaginal birth? One might be so much scared of labor and vaginal birth that she might opt for a major surgery such as C-section. This fear is quite genuine and can be a problem of many. This can be consulted with the gynecologist and some specific medications can be prescribed by the doctor to manage the pain. One can also gain experience by talking to women who have had C-section and know their recovery journey. This might give you knowledge to differentiate and choose the option which suits you. ⟵How to Manage Your Twin Babies?